Background/Purpose: The aim of the study is to assess whether the risk of post-operative infectious complications in rheumatoid arthritis (RA) patients undergoing surgical procedures is greater in patients continuing therapy with different disease-modifying anti-rheumatic drugs (DMARDs) and/or biologic agents (BA) compared with patients who stop their medications prior to surgery. Methods: Using the United States Department of Veterans Affairs (VA) administrative databases & surgical quality registry, we identified surgical procedures in RA patients, who were on at least one DMARD or one BA in the perioperative period, between October 1, 1999 and September 30, 2009. We used the VA pharmacy database and a previously validated method to determine whether the medication had been stopped prior to or continued through surgery. Surgeries among RA patients were divided into the following treatment groups: methotrexate (MTX) alone, hydroxychloroquine (HCQ) alone, leflunomide (LEF) alone, and MTX plus TNFα -inhibitor (TNFi). Primary endpoints were total infectious complications and wound infection. Unconditional multivariable logistic regression models were used to calculate odds ratios and compare infection risk of infection between groups. Statistical significance is defined with p<0.05. Results: We identified a total of 9362 surgeries among 5544 RA patients during this period. In the MTX monotherapy group, a total of 2601 surgeries were identified. MTX was continued in 1961 surgeries. Continuing MTX during surgeries was not associated with post-operative infection (OR=0.79, p=0.11) and post- operative wound infection (OR=0.77, p=0.10). In the HCQ monotherapy group, a total of 2012 surgeries were identified. HCQ was continued in 1496 surgeries. Continuing HCQ during surgeries was not associated with post- operative infections (OR= 0.93, p=0.67) or wound infection (OR 0.86, p=0.42). In the LEF monotherapy group, a total of 652 surgeries were identified. LEF was continued in 508 surgeries. Continuing LEF during surgeries was not associated with post- operative infections (OR=0.78, p=0.34) or wound infections (OR 0.87, p=0.63). In the MTX plus TNFi group, a total of 386 surgeries were identified. Both drugs were continued in 196 surgeries. MTX was stopped and TNFi continued in 59 surgeries. MTX was continued and TNFi was stopped in 72 surgeries. Both MTX and TNFi were stopped in 59 surgeries. With stopping both MTX and TNFi before surgery as reference, continuing [i] only MTX (OR=0.80, p=0.77) or [ii] only TNFi (OR=0.15, p=0.12) or [iii] both drugs (OR=0.35, p=0.15) were not associated with post- operative infections. Continuing [i] only MTX (OR=1.18, p=0.86) or [ii] only TNFi (OR=0.19, p=0.23) or [iii] both drugs (OR=0.38, p=0.32) were not associated with post- operative wound infections, either. Conclusion: Our results suggest that the continuation of DMARD monotherapy such as MTX, HCQ, LEF, or the combination of MTX and TNFi therapy for RA in the perioperative setting is not associated with increased rates of overall post- operative infectious complications and wound infections. This is a retrospective study evaluating all surgeries. Further sub-group analyses for specific surgeries will be analyzed in our future studies. Disclosure: H. H. Juo, None; A. Peck, None; N. Gove, None; B. Ng, None. Juo HH, Peck A, Gove N, Ng B. Perioperative Use of Synthetic Disease-Modifying Anti-Rheumatic Drugs or Tumor Necrosis Factor α Inhibitors Does Not Associate with Increased Rates of Post-Operative Infections [abstract]. Arthritis Rheumatol. 2016; 68 (suppl 10). 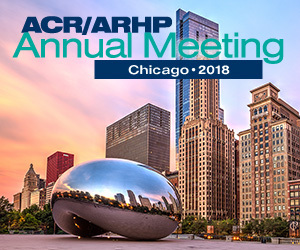 https://acrabstracts.org/abstract/perioperative-use-of-synthetic-disease-modifying-anti-rheumatic-drugs-or-tumor-necrosis-factor-%ce%b1-inhibitors-does-not-associate-with-increased-rates-of-post-operative-infections/. Accessed April 22, 2019.